We love being realtors here at Home to Indy. Buying and selling homes is our business, so we know all the intricate details. But we realize that not everyone may want to work with a realtor. If that's the case, you will be sacrificing a lot of expertise (not to mention time and effort), but you certainly can do it; there's no law that requires you to hire a real estate agent (although some states require that you hire a real estate attorney). It's important that you know what you're getting into and understand the process before you decide if it's ideal for your situation. 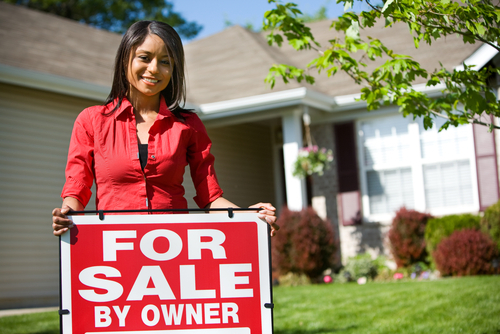 When you sell your home sans realtor, it's called For Sale By Owner (FSBO, pronounced "Fizbo"). Read on to learn what FSBO entails. Sound like a lot? That's because it is. Indeed, selling a home can be a full-time, nights and weekends job while your house is on the market. And, as any agent will tell you, it's not all glamorous. We have been known to give a house a good scrubbing if it needs it before an open house. If you decide to sell your house by yourself, make sure you learn the legal rules that govern real estate transfers in your state. And you must find out if there are any state-mandated disclosures as to the physical condition of your house. Obviously, we would love to help you sell your home. But if you want to go it alone, be sure you have the time, energy, and ability to handle all the details. Above all, get to know the market well enough that you don't end up selling the home for less than it's worth.